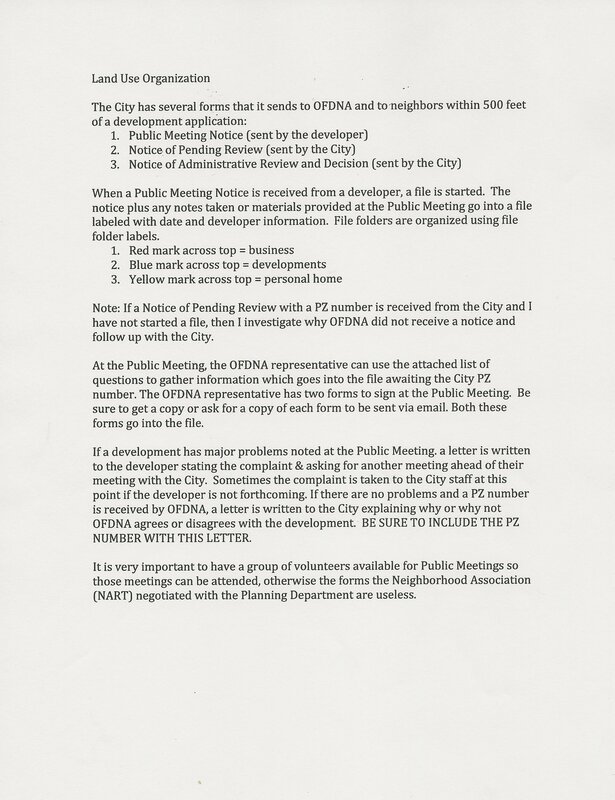 Here is the agenda and the prior meeting notes for Neighborhood Association Roundtable (NART) meetings. The committee members listed below are available to answer common questions about the various activities, procedures and/or processes associations may need assistance or advice on. Road show inventory is free to use for each association for meetings and other public events. Please replenish and return items promptly. Participating Neighborhoods - This area under construction. Please contact your Neighborhood Association for more information. Presentation: Purpose and Best Practices for Neighborhood Associations. Don’t forget to allocate about $150.00 of your Fiscal Year budget for premiums related to the NA shared insurance policy. The policy premiums get invoiced at the end of the fiscal year. Once your Compliance Report Form is reviewed and approved, your new fiscal year budget will be available. ​In short, there is $5,254 in the Rollover Grant fund. That means each grant application can apply for up to $1,576. Grant applications are due December 1 and grant award decisions will be made by January 5. All grant projects must be completed by June 30, 2018.